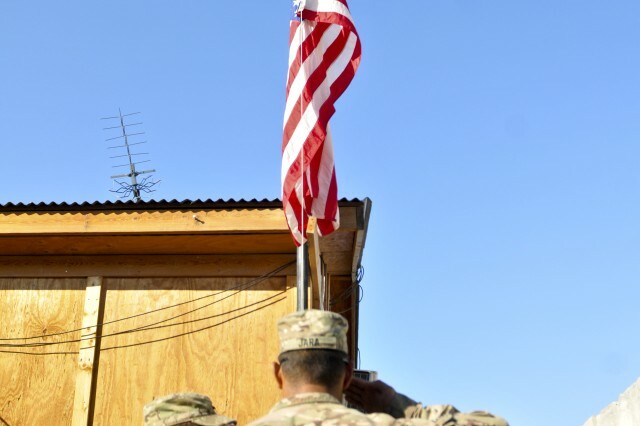 KANDAHAR AIRFIELD, Afghanistan -- There have been three Forward Operating Bases in southern Afghanistan turned over to the Afghan National Army from Combined Task Force Dragoon, Regional Command South, in the last two months as the ANA operate independently to secure their country. 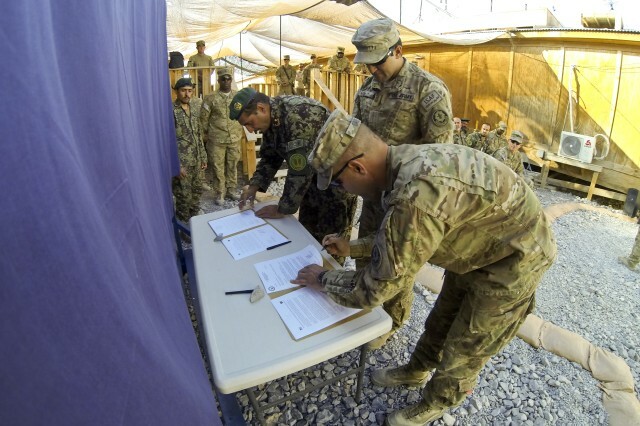 The Soldiers of 1st Squadron, CTF Dragoon held a formal ceremony and signed ownership papers to allow the ANA to take control Nov. 27, 2013, at FOB Zangabad, Afghanistan. U.S. Soldiers lowered the American Flag and Afghan soldiers raised their flag to show their control of the base. Speeches expressing gratitude for the partnership were made by both commanders during the ceremony. 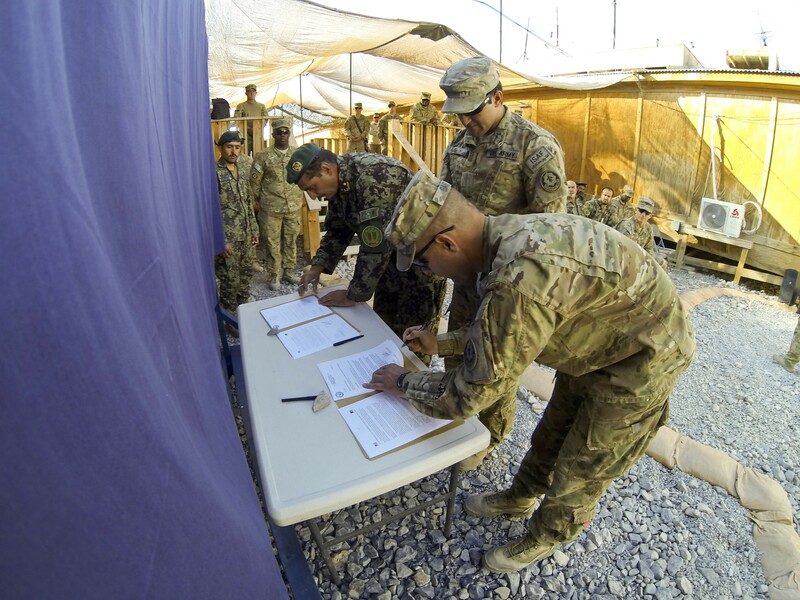 The Commander of 1st Squadron, CTF Dragoon, Lt. Col. Phillip Gage, is confident in the abilities of the 2nd Kandak, 1st Brigade, 205th Corps, who will now run operations there and believes they will conduct successful military operations because of the mentoring, coaching and partnership his team has provided over the past five months. He described a number of positive characteristics the ANA soldiers have displayed to show they are ready for independent operations. "I will be the first to tell you that the 2nd Kandak is ready," said Gage. 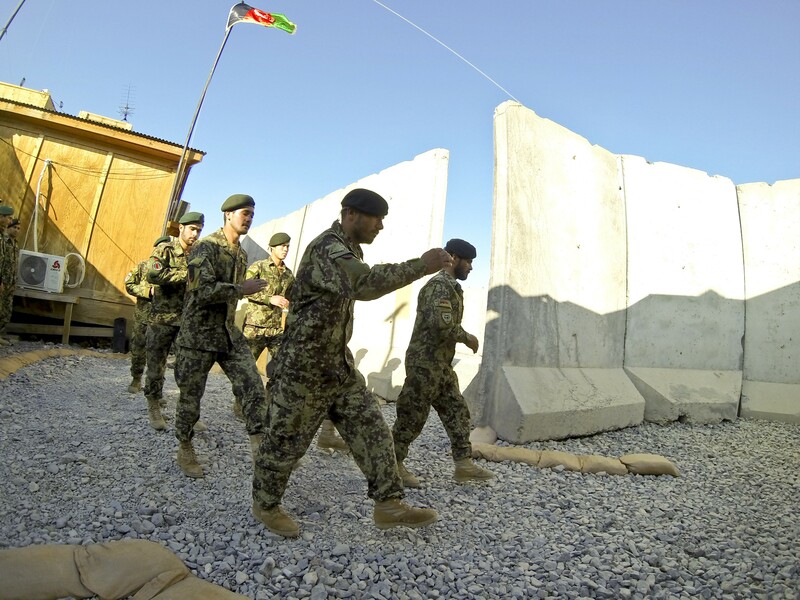 "They are ready to assume this piece of tactical infrastructure and continue the mission against the Taliban in western Panjwai. Just like my squadron is combat-ready, we're dependable, we're loyal, we're well-led and above all else we're professional. The 2nd Kandak has demonstrated every one of those qualities in our short time here together." 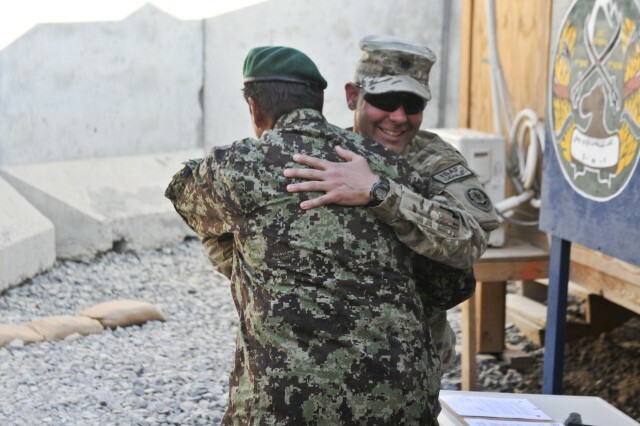 Leadership of both the American and ANA units exchanged certificates and goodbyes. 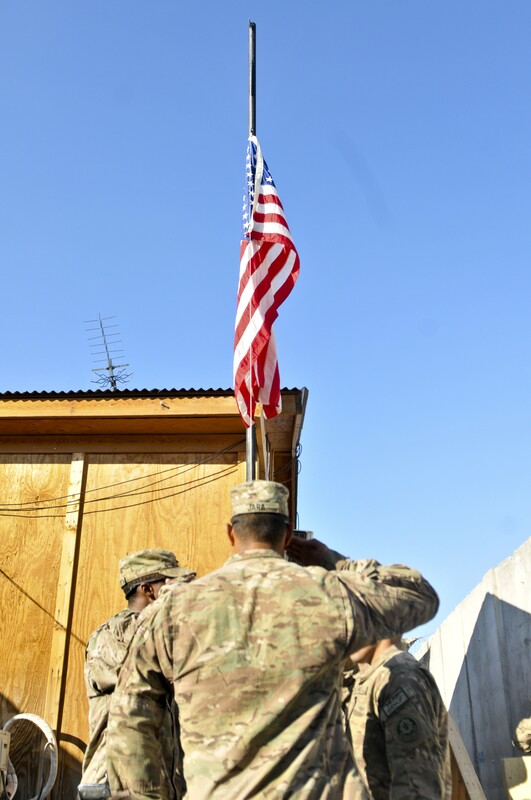 The Soldiers of CTF Dragoon packed up the last of their gear and relocated to a different base with FOB Zangabad safely in the hands of the 2nd Kandak. 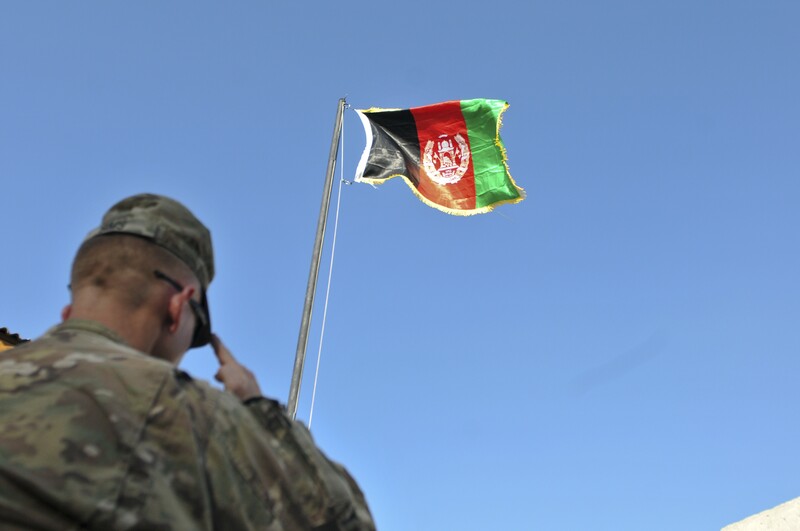 Commander of the ANA's 2nd Kandak, Lt. Col. Khan Agha, expressed gratitude for his unit's partnership with U.S. forces and how the relationship will be missed. 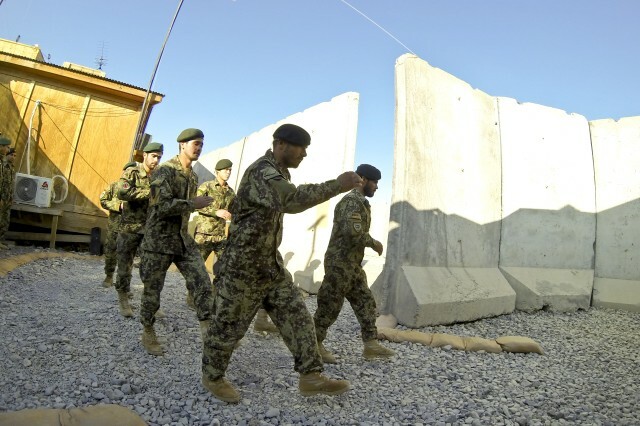 "We are proud of you guys for staying so long in Afghanistan," said Agha. "Thank you so much for your cooperation and the training you provided for us. We will never forget you and we will remember you guys forever."